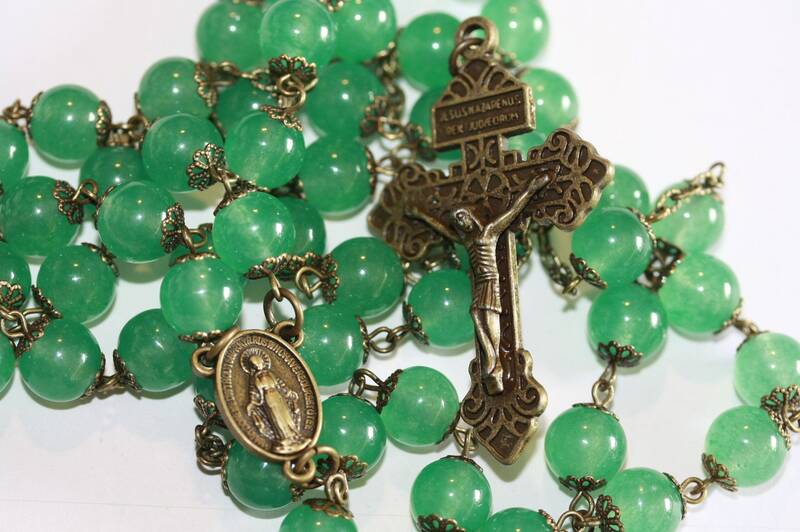 Large 10mm Mayla Jade and Bronze Handmade Rosary Handmade in Oklahoma 5 decade. 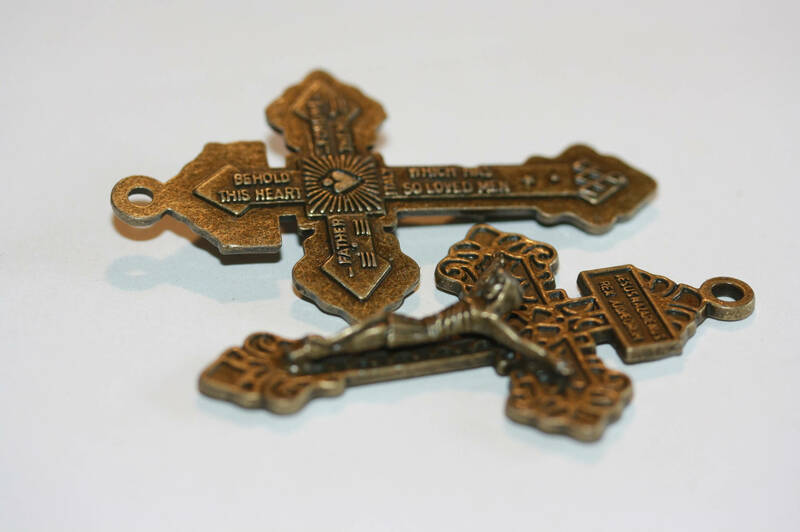 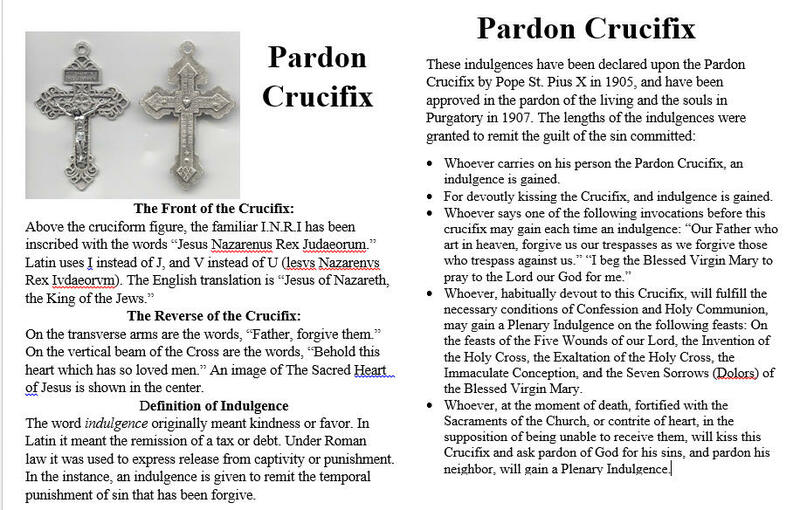 Pardon crucifix and Madonna center. 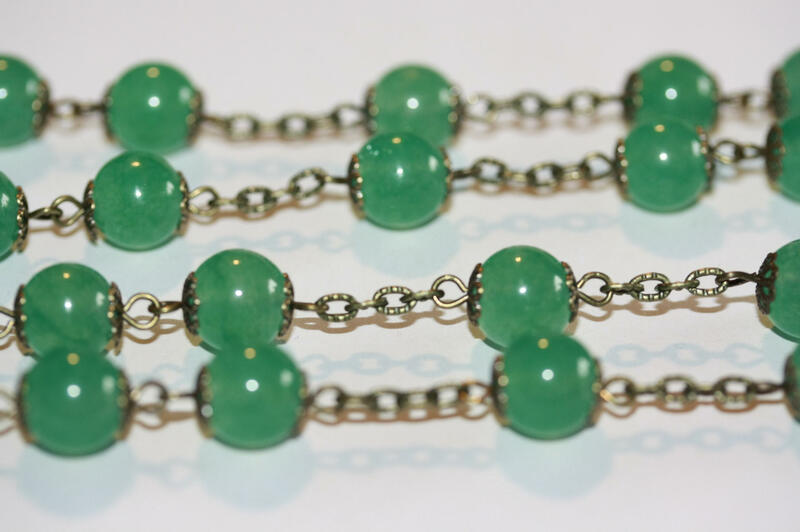 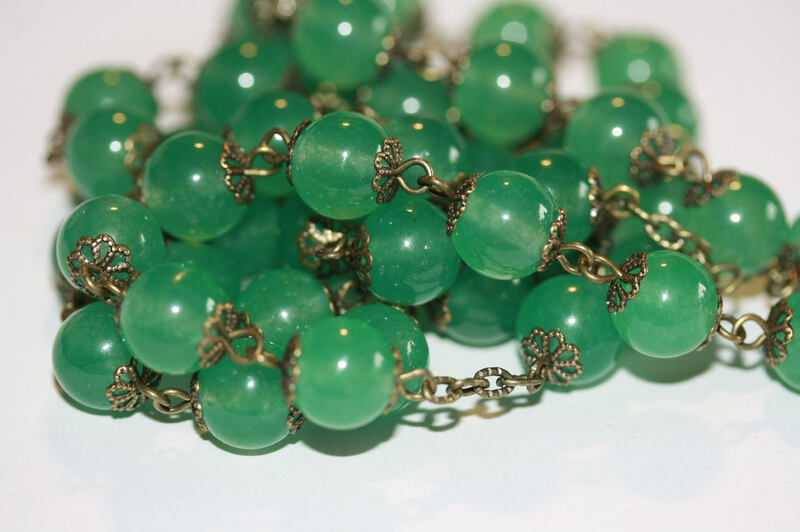 This rosary is especially comfortable for arthritic hands to hold due to the over sized beads. 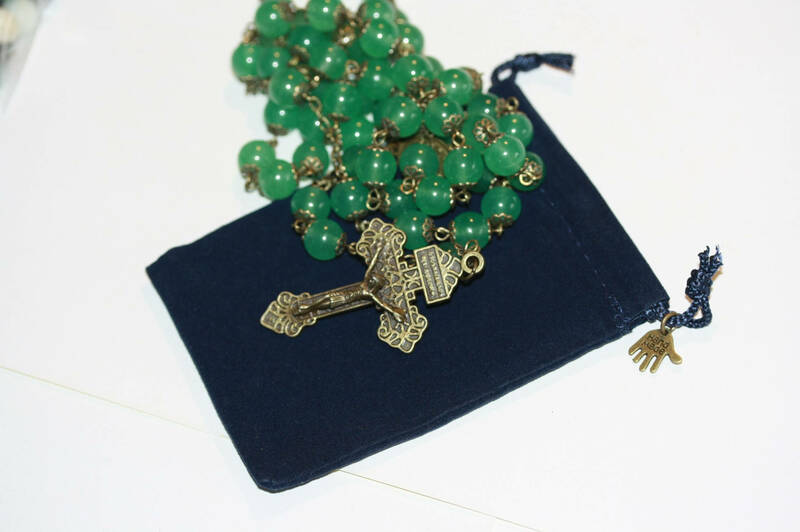 Lifetime warrantee and velveteen carrying bag with handmade charm.